Damage from the storm system that came through the Tampa Bay area last week has resulted in the closing of the Larry Sanders Progress Village Sports Complex until further notice. According to Kemly Green, community relations coordinator for the Hillsborough County Communications Department, contractors are on-site at the sports complex and presently straightening lighting poles, repairing electrical lines and re-planting trees. General cleanup — including trash, damage to large trees and straightening of football posts — will be handled by staff from the county&apos;s Parks, Recreation and Conservation Department. 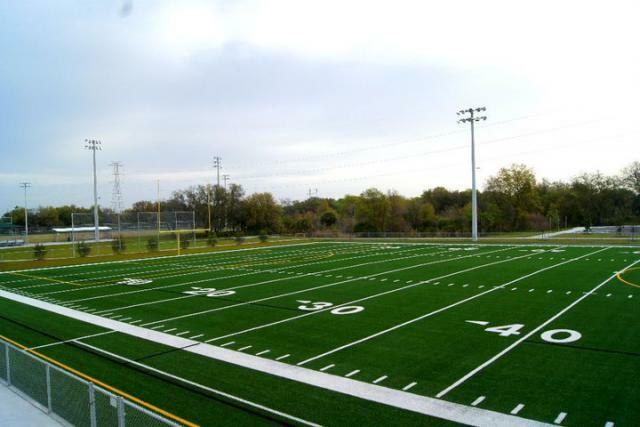 The Larry Sanders sports complex had its grand opening on March 5 and is the home of the Progress Village Little League and the Progress Village Panthers youth football team. Green said the park is currently closed, but should be ready for use sometime this week. So, stay tuned! And as always, keep checking back here for more updates, as well as info on great things to do in Tampa Bay and Tampa Bay area events.